Labels, Colour & Style Options for this Product: As Image Red & RedBlueCream/IvoryGoldGreenGreen & Red TintPinkPink & Purple Tinted WrapPurplePurple Tint (transparent)RedSilver 489 currently available in stock to buy now. Thank goodness for a party! A treat sized Honeycomb Flapjack! 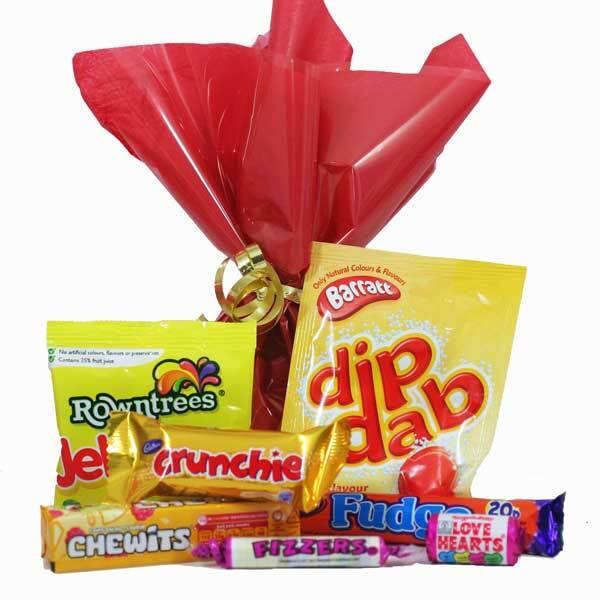 Dib Dab - with it's sachet of zingy Sherbet and Strawberry flavoured lolly, this fab retro sweet remains as popular as ever. 489 currently available in stock to buy now.